Jazz may very well have been born over a hundred years ago in New Orleans, but New York definitely draws some amazing jazz talent nowadays. From legendary clubs like the Blue Note and Birdland, to dozens of lounges around the city, we’re spoiled for choice when it comes to experiencing jazz in a live setting (one of the best ways to enjoy it in my opinion). So, it should come as no surprise that many up-and-coming jazz artists flock to New York to pursue their careers. 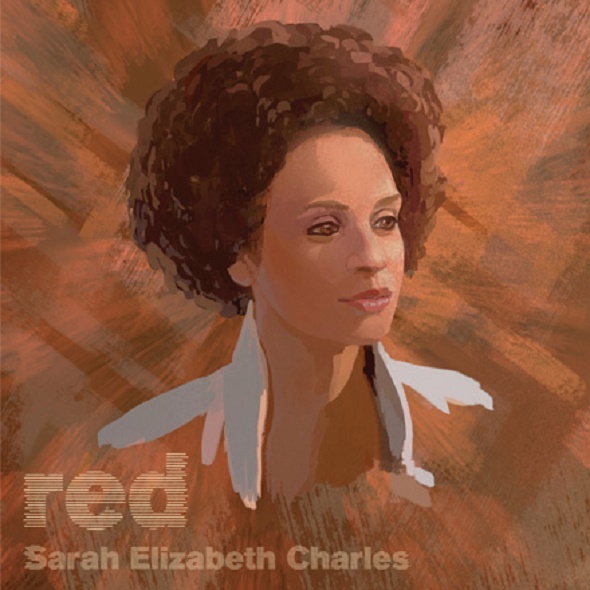 One promising vocalist/composer who made the move is Sarah Elizabeth Charles. 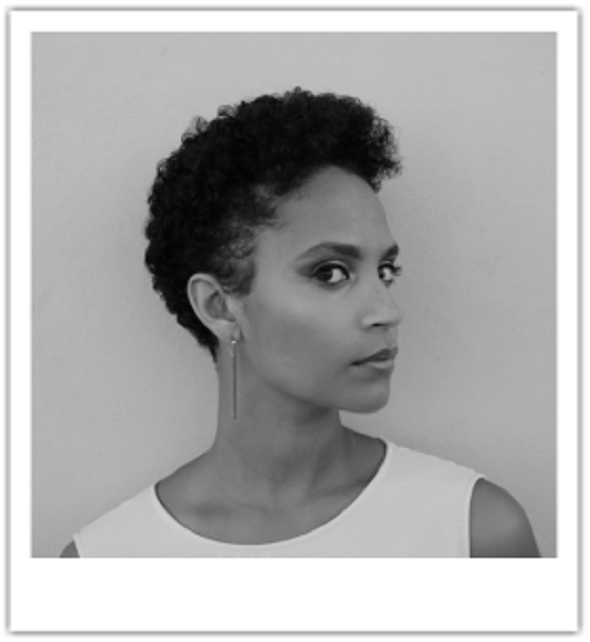 The young artist already has quite the impressive career, having shared the stage with jazz greats including George Cables and Geri Allen. Sarah released her debut album Red in late 2012 with her band the S.E. 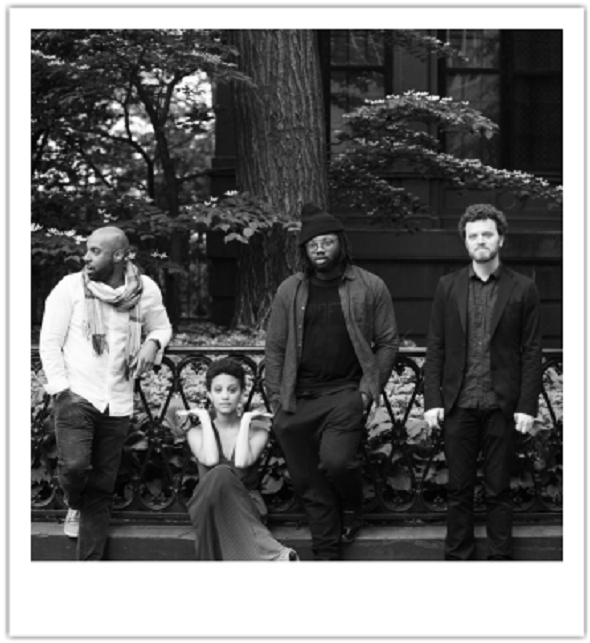 Charles Quartet and released her follow-up record Inner Dialogue in March of this year with co-producer Christian Scott on Truth Revolution Records. Sarah and her band had a show at The Cell Theatre in NYC this past Saturday (May 16), but you’ll have another chance to catch them at the same venue this coming Saturday (May 23). Brooklyn Radio’s Lara Gamble had the opportunity to speak with Sarah while on her way to Chicago last month about her introduction to the industry, as well as a number of projects she has in the works, which will likely all be released in 2015. How old were you in when you fell in love with jazz? When I was about eleven, I was studying piano, and I was in the chorus at a school called the Community Music School of Springfield. At that point in time, I was studying with a vocalist named Montenia Shider who was a local jazz vocalist in the area. So, she had a record that she had given to me, and I eventually learned two of the tracks that I really loved and gravitated towards, which were “They Can’t Take That Away From Me” and “Don’t Get Around Much Anymore” verbatim. I came into a lesson one day and sang them for her along with the record. She had spoken with the director of the school – I knew this had happened after the fact – she had spoken with him, and there was a scholarship jazz ensemble at the community school. So, she took me up there one day and said, “Oh, you should sit in with this band. They’ve been playing jazz for a long time, and I think that it would be something that you would really enjoy.” So, I went to sit in with them, and the director was there, which I thought was a little strange, but you know, I was eleven, so I didn’t really know. And I sang those two tunes with them, and then the director said, “So, that was your audition. You’re in.” And I said, “Okay!” That was my initial introduction to jazz. I didn’t grow up listening to the music before that time period. I grew up listening to a lot of Michael Jackson, Stevie Wonder, Whitney Houston, Mariah Carey and whatever Haitian music my dad would play when we were cleaning the house or doing different things at home. That was my introduction. So, I think that was an important answer to give him because he definitely treated me as one of his instrumental students. He treated me no different from any of his instrumental students from that day forward and really pushed me to learn essentially in the same way as an instrumentalist would. When I started composing, he encouraged me to make sure that I really knew what I was talking about, not only listening to it but also on a theoretical level. And so I kind of got into that slowly but surely, and as I got into college but originally really just fell in love with, to be honest with you, the complexity of jazz and the fact that I couldn’t listen to it and figure it out right away. I had to keep listening to it and delve deeper and deeper before I could really understand where it was coming from. Are you originally from Brooklyn? No, I am not. The community school that I mentioned before is the Community School of Springfield in Springfield, Massachusetts, which is my hometown. And then when did you move to Brooklyn? Well, after living in Springfield, I moved to Westfield, Mass. and went to high school there, and they had an amazing jazz program, and still do, at the high school, and then I moved to Manhattan in 2007 for school to go to the New School University. How did you meet your band? It was a long process. I would say that I essentially started to sort of form my sound and “look for my band” I guess, or start generating a band sound, when I was about sixteen or seventeen before moving to New York. I would utilize the jazz ensemble that I was in and then various programs that I would go to like Jazz in July, which is program that was headed by the great Dr. Billy Taylor, and a jazz center’s program to sort of test-run my original material that I started writing as a teenager. Since I moved to New York and started at the New School, essentially I just started calling sessions with various musicians that I was meeting in school and outside of school just around the jazz scene. The amazing thing about going to school in New York City is that you’re kind of already in the thick of it. There’s no going to school somewhere else and then moving to New York after the fact because you’re already there, and you’re already seeing other people do their thing. In a way, that’s really inspiring and it’s really motivating. So, I was just kind of calling sessions but really searching for my group. So, I guess the first member that I met was the bassist, Burniss Earl Travis II. He was at the New School with me for a while. He was touring all over the place, so he was kind of in and out of school. He wasn’t necessarily always there. Originally, we just connected on a personal level and became friends. We sort of talked about playing one day but didn’t necessarily set that up right away. The first member of the band that I first started playing and collaborating with was the pianist, Jesse Elder, and he and I met on a gig when he subbed for the pianist that I’m on tour with right now. As a matter of fact, he subbed for him at a regular gig we had in Manhattan. His name is Logan Evan Thomas. So, he subbed for that gig, and after that gig, he hired me for a bunch of duo gigs that he did. So, we would just play the two of us a lot, and we had a regular gig at a club that is no longer in the city. He started helping me workshop some of my original material. It was extremely collaborative, and it worked really well. So, I kind of knew that I wanted him to play in the band. So, I called a session with Jon and Burniss and Jesse, and as players, they’re all extremely different, and especially to bring John and Burniss together with Jesse. That has always been, and continues to be, a really cool thing for me to see and to hear and to be a part of because of the difference and the way that they approach music and life period. I love it because it creates this mish mosh and hodgepodge of sound and energy, and I think it really runs parallel to the musical sounds that we’re creating, the sort of sonic palette that I’m exploring to begin with. There’s not really one thing. There’s not really one thread. It’s just a bunch of different things combined, and we’re pulling on a lot of different things, but I think it kind of works to our advantage that we’re such different people and musicians to begin with because we’re kind of already in that space. So, we can just kind of go there. It’s really nice. Who would you name as creative influences? Oh, gosh. So many people. It’s so eclectic. Growing up, when I first started listening to jazz, Tara Vaughan blew my mind. She was sort of my ultimate growing up. And then of course, in terms of jazz vocalists, I listen to all the greats. You know, I love Ella, Billie Holiday is phenomenal. I actually just got done doing a tribute at Jazz at Lincoln Center’s Rose Theater for Billie. Friday and Saturday night was Andy Bey and Molly Johnson, which was thrilling and a complete honor. So, for me actually, Billie, her uniqueness is what sort of drew me in. I think people listen to her, and the first time you hear her, you can’t….No one has ever heard anything like that prior to listening to her for the first time. So, you hear her and you just kind of immediately get drawn in, and she’s been so motivating simply because of her uniqueness. Not that I would ever try or ever have tried to sound like her, but I have tried to achieve, or at least give myself, a space to explore my own voice and my own sound, so that I can actually be comfortable and create that for myself. Yeah, so she’s been a huge influence. Benny Carter. I have some times where I listened to at the end of the 90s, beginning of the 2000s, were people like Erykah Badu, Jill Scott. There’s so many other people and a bunch of instrumentalists as well. I love Charles Mingus. I love Lester Young. They had a huge influence on me. I’m kind of going back and forth towards the beginning of my jazz exploration. Even more contemporary artists that I listen to and am inspired by mostly because of their uniqueness and the niche that they’ve been able to create for themselves, are artists like Sufjan Stevens and Robert Glasper, and I really appreciate nowadays hearing artists who come out and just have their own voice and are introducing you to a completely new sound. Of course, you can always hear the influences on somebody’s sound, especially when they’re recording original music, but when you hear somebody’s voice, and it just feels like something you’ve never really heard done quite that way before, to me it’s so inspiring and motivating. So, I just try to keep my ears open to that kind of stuff. Your sophomore record Inner Dialogue was released on March 24. How do you feel it has been received? I’ve been kind of overwhelmed by the response so far. We’ve gotten some really great reviews and really great coverage and then also have been really surprised to see the amount of people who have actually been checking it out. They’ve been reaching out to me personally or people that I know and then people I don’t know via social media. It’s been kind of overwhelming in the best way possible, I guess. You make something and you put so much time into it and you put so much of yourself into it, and you’re not always quite sure. You can’t be quite sure how it’s going to be received. You, of course, in the end hopefully like it, or at least like it enough to put it out. But you never know. You have no idea. It’s totally a crap shoot. So, after working on this record and writing for this record for over two years and recording it and that taking a year. The recording, mixing, mastering process took a year for me. I really just took my time, and we really took our time. The co-producer on the record, Christian Scott, really kept pushing me to just say, “Well, if you don’t think it’s quite ready, go back in the studio. If you don’t think it’s quite ready, then do another mixing session.” We had an initial timeline, and we ended up being eight months late, you know, almost a year late. Right. Well, he probably didn’t want you to regret anything. Yeah, Christian definitely motivated me to just take my time, and because of that, we have something that I’m extremely proud to share. And the band, the guys just sound ridiculous, and I’m so lucky to have them, and I was so lucky to have Christian on it. It’s been received extremely well, and I’m looking forward to having as many people hear it as possibly can. How is this record different from your debut album Red? I don’t think of it as being different. I think of it sort of as like a timeline that has slowly progressed. So, sort of like an extension? Yeah, I think it was an extension. I think of Red more of an introduction, not so much for my audience but for us as a band. So, the title track “Red” introduces our audience to some of the things that we ended up doing sonically on Inner Dialogue. I say that because “Red” was initially conceptualized and written as a swing tune, and we were in the studio. We recorded that record at Systems Two in Brooklyn. We were in the studio, and after seven takes, we just kind of looked at each other, and we were like, “This isn’t working. It’s not happening. What’s the deal?” And the engineer who was with us at Systems Two, I asked him the first day to keep the tape rolling no matter what and never to turn it off. I knew my band well enough to know that sometimes we just go places, and I wanted to capture anything that possibly happened on the fly that we could potentially use for something on the EP. So, Burniss put down his upright bass and picked up his electric and just started playing, and so the take that you hear of “Red” on Red was completely improvised just with the lyrics that I had originally written for the original piece. So, that sort of space that we entered into on Red, I think it was just an introduction to where we ended up going but in a much more composed way on Inner Dialogue. That’s how I would describe it. I know you’re on tour right now. Do you have any other plans for 2015? Yeah, we’re putting things together. There’s a lot of things in the works. So, actually the band I’m on tour with right now, we’re hoping to release our second record either later this year or early next year but likely this year. I’m also releasing a record this coming week with a band called Ajoyo. It’s an afro-beat band. Yeah. (Laughs) The bandleader of that group is Yacine Boularès. So, we’re releasing our record with that group. It’s the debut album that is self-titled. I’m also releasing a record called Pop with a bandleader named Enoch Smith Jr. later this year. And yeah, just planning shows and tour with my quartet and these other groups as well. We’re playing a lot of original music. Keeping busy. Is there anything else you would like to add or promote? I should tell you that we recorded Red at Systems Two in Brooklyn, and then we recorded Inner Dialogue at Brooklyn Recording. We have a show coming up at the Cell Theatre, and that’s on the 16th and the 23rd of May. It’s going to be a short residency that we’re calling “Inner Dialogue in depth.” Essentially, what we’re going to be doing is taking the album and really just stretching it out and exploring the territory and potentially playing only four songs per set. So, it’s really just an improvisational way of exploring the material in a very big way. It’ll be different than the record. And we’re playing Blue Note on July 25 as well. I would also love to mention an organization I work with called Rise2Shine. My father is from Port-au-Prince, Haiti and on Inner Dialogue, I have a few Haitian folk songs. It’s a part of me and part of my music that is very important.